Running in the Turks and Caicos Islands. Best places to run in Turks and Caicos. The Turks and Caicos Islands are a British territory consisting of 40 small tropical islands. 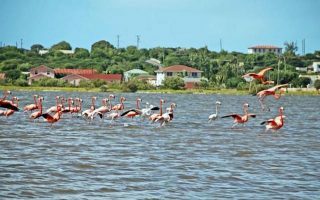 While this gorgeous archipelago draws well over one million tourists annually, most visitors tend towards the resort center of Providenciales and the cruise ship port of Grand Turk for the white sand beaches, superb snorkeling, lighthouses, and watersports. There is development to a much lesser extent on North, South, and Middle Caicos. Our guide to running in Turks and Caicos features routes in each of these areas. Running in Turks and Caicos is punctuated by lovely seaside vistas. Many roads are without sidewalks, but there are lots of options for lightly trafficked streets. In Providenciales (Provo), runners can set out along Grace Bay Beach, or use the sidewalk along Grace Bay Road for a pavement run. There are also several dirt roads that are suitable for a quiet, scenic run. 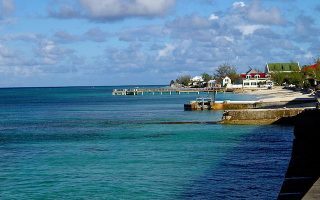 North and Middle Caicos share a long paved road, and there are some interesting routes along the downtown/waterfront areas and backroads on Grand Turk and South Caicos. If traveling between islands, visitors will need to board a ferry or domestic flight. However, when moving around each island, the tourism board recommends a rental car. Taxis can be expensive, and 4×4 and scooter rentals are considered more special interest activities. Buses and other forms of public transport are non-existent. Plan your stay to get as close as possible to one of our Turks and Caicos running routes! Best places to run in Providenciales include sandy Grace Bay Beach, the long sidewalk along Grace Bay Road, roads around the Venetian Road Settlement, and several quiet, dirt roads in the west side of Provo. Run some of the roads around the Cockburntown waterfront, or take scenic Lighthouse Road for 5 km to the historic Grand Turk Lighthouse. 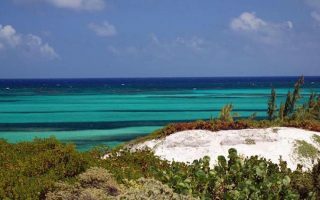 Choose from the grid-like roads around Cockburn Harbour or set out on the long 7 km road along the north peninsula of South Caicos. There is really only one road across North and Middle Caicos, but it's a pleasant spot for a long run of up to 53 km. 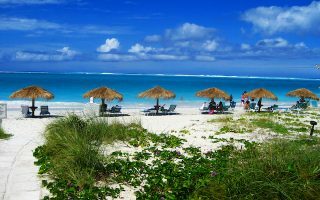 Turks and Caicos weather is typical of the Caribbean, with nearly uniform temperatures year-round and distinct wet and dry seasons. Daytime temperatures are in the 28-32C range (84-90F), and nights in the 20-24C range (68-75F). It can rain at any time of year, with September to November getting 2-3x the rainfall of the drier months. 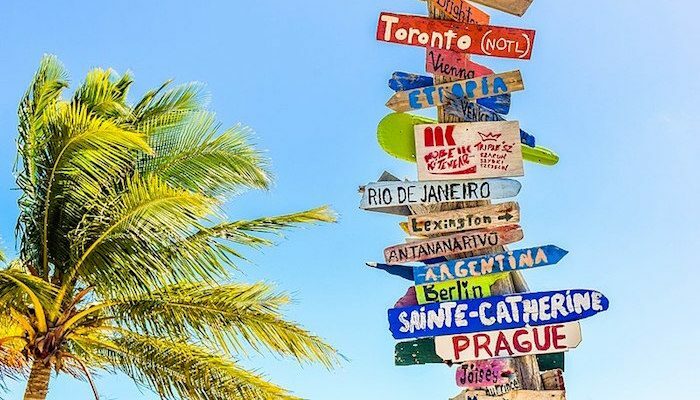 The most popular tourist islands in Turks and Caicos are Providenciales, Grand Turk, North Caicos, Middle Caicos, and South Caicos. For accommodation information, visit turksandcaicostourism.com. There are no running stores to speak of in the Turks and Caicos. For 5ks, marathons, and more events in Turks and Caicos, see Ahotu’s list of upcoming races.